It has been 3 weeks since my last blog post. I have to be honest – I hate that I haven’t been able to consistently post here. However, there are times in ministry where it is necessary to choose what takes priority and what needs to take a backseat for a moment. For the past 3 weeks, our youth ministry has needed to take the priority while everything else needed to be pushed to the background. When this happens, though, it’s always important once things settle down, to put life back in the right perspective and try to find a better sense of balance. Our life the last couple of weeks revolved around a week-long mission trip we took our students on to The Oklahoma City Dream Center at Inner City Church. 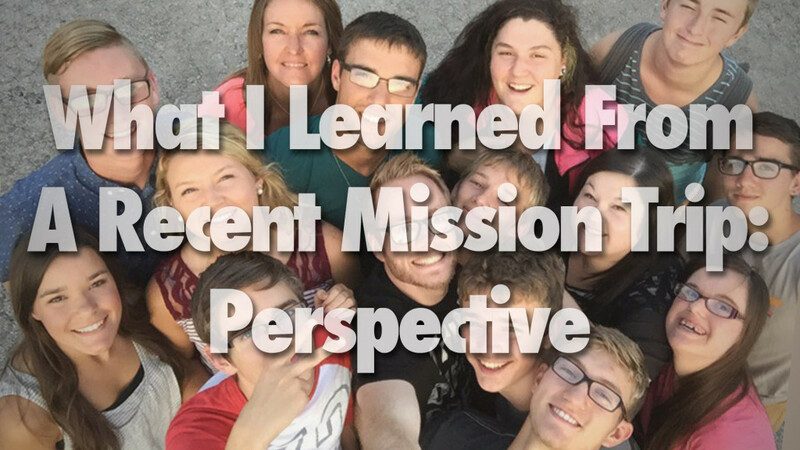 As anyone in ministry knows, a mission trip or service project is one of the best ways to give your students a change of perspective in their lives. A trip takes your students out of their normal routines and out their comfort zones and forces them to see the lives of other people and how they can serve and reach them with the message and love of Jesus Christ. Mission trips also force us as leaders to get outside of ourselves and remember that the Kingdom of God is much bigger than our personal lives, churches, and ministries.